Do you ever think it’s strange that people wear socks to bed? Oddly enough, those people are likely getting the best sleep. Our body’s temperature is so important when it comes to getting a full night of sleep. Matthew Walker, author of WHY WE SLEEP, shares why it’s necessary to snuggle up for the best sleep. Thermal environment, specifically the proximal temperature around your body and brain, is perhaps the most underappreciated factor determining the ease with which you will fall asleep tonight, and the quality of sleep you will obtain. Ambient room temperature, bedding, and nightclothes dictate the thermal envelope that wraps around your body at night. It is ambient room temperature that has suffered a dramatic assault from modernity. This change sharply differentiates the sleeping practices of modern humans from those of pre-industrial cultures, and from animals. To successfully initiate sleep, as described in chapter 2, your core temperature needs to decrease by 2 to 3 degrees Fahrenheit, or about 1 degree Celsius. For this reason, you will always find it easier to fall asleep in a room that is too cold than too hot, since a room that is too cold is at least dragging your brain and body in the correct (downward) temperature direction for sleep. The decrease in core temperature is detected by a group of thermosensitive cells situated in the center of your brain within the hypothalamus. Those cells live right next door to the twenty-four-hour clock of the suprachiasmatic nucleus in the brain, and for good reason. Once core temperature dips below a threshold in the evening, the thermosensitive cells quickly deliver a neighborly message to the suprachiasmatic nucleus. The memo adds to that of naturally fading light, informing the suprachiasmatic nucleus to initiate the evening surge in melatonin, and with it, the timed ordering of sleep. Your nocturnal melatonin levels are therefore controlled not only by the loss of daylight at dusk, but also the drop in temperature that coincides with the setting sun. Environmental light and temperature therefore synergistically, though independently, dictate nightly melatonin levels and sculpt the ideal timing of sleep. Your body is not passive in letting the cool of night lull it into sleep, but actively participates. One way you control your core body temperature is using the surface of your skin. Most of the thermic work is performed by three parts of your body in particular: your hands, your feet, and your head. All three areas are rich in crisscrossing blood vessels, known as the arteriovenous anastomoses, that lie close to the skin’s surface. Like stretching clothes over a drying line, this mass of vessels will allow blood to be spread across a large surface area of skin and come in close contact with the air that surrounds it. The hands, feet, and head are therefore remarkably efficient radiating devices that, just prior to sleep onset, jettison body heat in a massive thermal venting session so as to drop your core body temperature. Warm hands and feet help your body’s core cool, inducing inviting sleep quickly and efficiently. Now that you’ve figured out how to get the perfect sleep, try cutting back on that afternoon cup of coffee. 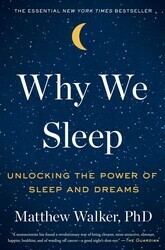 A New York Times bestseller The first sleep book by a leading scientific expert—Professor Matthew Walker, Director of UC Berkeley’s Sleep and Neuroimaging Lab—reveals his groundbreaking exploration of sleep, explaining how we can harness its transformative power to change our lives for the better. Sleep is one of the most important but least understood aspects of our life, wellness, and longevity. 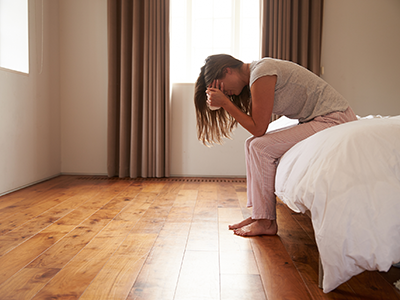 Until very recently, science had no answer to the question of why we sleep, or what good it served, or why we suffer such devastating health consequences when we don't sleep.